(Music Pro Guide Books & DVDs). Today, musical composition for films is more popular than ever. In professional and academic spheres, media music study and practice are growing; undergraduate and postgraduate programs in media scoring are offered by dozens of major colleges and universities. And increasingly, pop and contemporary classical composers are expanding their reach into cinema and other forms of screen entertainment. Yet a search on Amazon reveals at least 50 titles under the category of film music, and, remarkably, only a meager few actually allow readers to see the music itself, while none of them examine landmark scores like Vertigo , To Kill a Mockingbird , Patton , The Untouchables , or The Matrix in the detail provided by Scoring the Screen: The Secret Language of Film Music . This is the first book since Roy M. Prendergast's 1977 benchmark, Film Music: A Neglected Art , to treat music for motion pictures as a compositional style worthy of serious study. Through extensive and unprecedented analyses of the original concert scores, it is the first to offer both aspiring composers and music educators with a view from the inside of the actual process of scoring-to-picture. 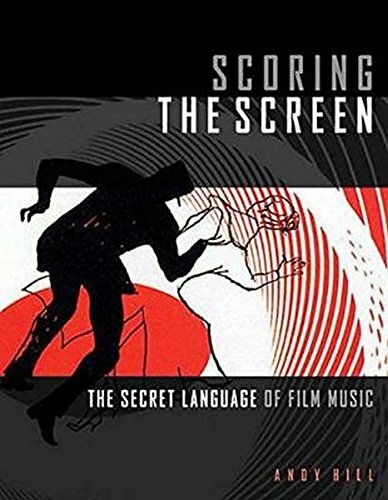 The core thesis of Scoring the Screen is that music for motion pictures is indeed a language , developed by the masters of the craft out of a dramatic and commercial necessity to communicate ideas and emotions instantaneously to an audience. Like all languages, it exists primarily to convey meaning . To quote renowned orchestrator Conrad Pope (who has worked with John Williams, Howard Shore, and Alexandre Desplat, among others): "If you have any interest in what music 'means' in film, get this book. Andy Hill is among the handful of penetrating minds and ears engaged in film music today."